At times, a brand new part is not the best answer to a problem. The Konecranes experts at Crane Pro Parts™, our U.S.-based parts-supply organization, specializes in taking old, worn out parts and components from cranes of all makes and models and rebuilding them to perform like new but at a much lower cost. Rebuilt parts offer an alternative that is both cost and time effective. Rebuilt motors, for example, perform like new but at a fraction of the cost. Additionally, urgent repairs of major parts or components can often be accomplished by rebuilding or refurbishing them, in less time than it would take to order a new part or component. The specialized processes of the Crane Pro Parts Rebuild Center have been developed to maintain the integrity of original equipment specifications and performance for all rebuilt parts and cranes of all makes and models. Our rebuild processes use high-quality materials and industry expertise to deliver superior results. Crane Pro Parts offers the industry's finest in motor and trolley rebuilds: gearbox, wheel assembly and drum repairs, along with other parts and component repairs, such as upper and lower block assemblies, below the hook devices, radio controls and pendants. "A customer had a breakdown on their only production hoist. A new drum had a 14- to 16-week lead-time, but Crane Pro Parts was able to rebuild the drum and get it back to us in one week. That saved our customer over $30,000 and 15 weeks of downtime." Select a country to see the contact information of the closest spare part distribution center. 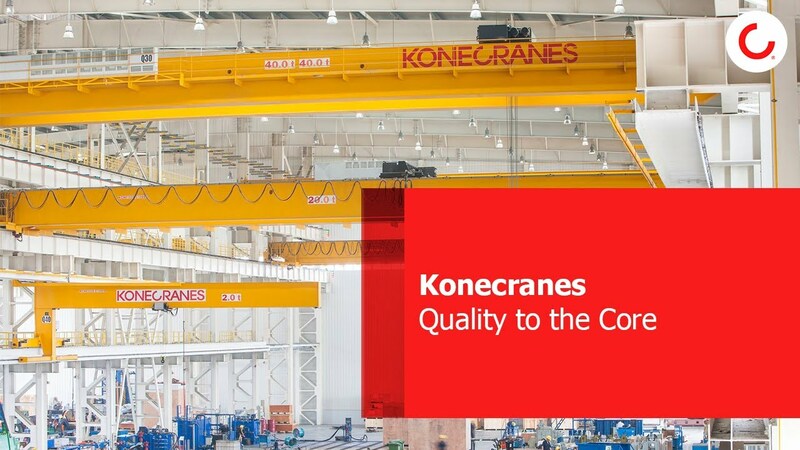 Konecranes manufactures all core components in-house to ensure top quality. View Remote Monitoring data, including safety-related issues, operating statistics and estimates of remaining Design Working Period of selected components. The TRUCONNECT suite of remote service products and applications support maintenance operations and drive improvements in safety and productivity. The Crane Pro Parts STORE is your single online source for parts for all crane makes and models. Get access to quick parts ordering, pricing, inventory, lead times and manuals.